Summertime is here and PTAC units at hotels everywhere are succumbing to the increased heat and humidity. At PPI we are busy shipping replacement units from the most reliable top-of-the-line manufacturers. Meanwhile, our valued strategic partner, Susie Pfeiffer of DGS Energy, has just been interviewed by Hotel Business magazine on its PTAC cleaning process. The article includes valuable tips on extending the life of your units, which can add up to substantial cost savings, and we thought it helpful to share her expertise. Cleaning PTAC units might not be high on your to-do list. 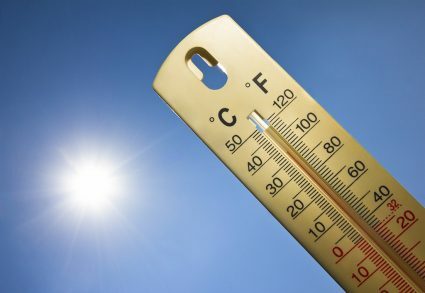 However, peak summer heat and humidity dramatically increase the chances for unit breakdowns. Lost revenue from blocked rooms resulting from these breakdowns draws attention to the importance of preventive maintenance, which should move PTAC cleaning near the top of the list. Industry experts indicate a regular annual cleaning schedule can add up to five years of life to a PTAC and shave as much as 6 percent off your summer electricity bill. PPI can provide access, through DGS Energy, to an effective, affordable, eco-friendly PTAC unit cleaning service. The process is simple. First, a non-toxic, biodegradable solution is sprayed to remove debris that has settled into the coils and fins, and to lift dirt from the surface areas of the unit. Then, pressurized water is sprayed to remove dirt, grime, grease and the mold that grows on the unit coils and inside the pan. The unit is then dry-vacuumed to remove all the dirty water, dusted, wiped down and deodorized. The PTAC cover is then cleansed of any debris or grime and lastly the filters are cleaned. The cleaning is done by certified technicians using a self-contained box unit that sits in the corridor outside the guestroom. Hose hook-ups are run from the corridor to the water access in the guestroom. Guests in nearby rooms are not disturbed. The process works on all major PTAC or VTAC brands and can be completed at the rate of about 35 units per day depending on occupancy and ease of access. At the conclusion of a PTAC cleaning the customer is provided with written and electronic copies of the completion report. The completion report details every unit’s model and serial number; missing or broken components, including knobs, filters and fronts; and details of any issues encountered with each unit including but not limited to: potential bad compressors, loud fans, issues with sleeves, electrical problems and thermostat communication. When PTAC units finally do wear out, DGS Energy also offers a remove and recycle service for the disposal of broken and hazardous PTACs. DGS Energy technicians will also install new PTACs. Whether you need new PTAC units or the cleaning service for your property, call PPI and we will help you with the solution. It’s just one more way we live up to our promise of seeing you through the entire FF&E purchase, including using our experience to solve problems in ways that save you time, money and hassle. Gone are the days when your hotel flooring decision was simply a choice of carpet color. Today, brand standards are varied and change frequently. 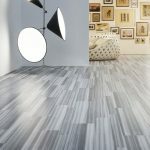 Flooring manufacturers provide a wide selection of new products and design choices. 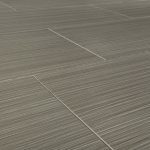 Current product offerings include luxury vinyl tile (LVT), carpet tile, wood-look ceramic and oversized tiles. These materials are offered in a large variety of sizes and shapes, though long, narrow planks and oversized rectangles are two of today’s most popular. LVT: vestibules, lobbies, elevator cabs, public restrooms, guestrooms. When LVT is used in these spaces, area rugs are commonly used to make the design statement. We generally recommend custom-made area rugs to accommodate both the overall design intent and the size needed for a particular space. Carpet tile: guestrooms and corridors, in place of broadloom carpet, with hotel brand approval. When carpet tiles are installed with double-backed sticky tabs, a stained tile section can be easily removed and replaced with a new carpet tile for a clean, fresh look. Brand standards may dictate an underlayment in certain cases. Wood-look ceramic and oversized tiles: vestibules/lobbies/elevator cabs /guestroom entries/ guestrooms. These products are easily cleaned and have none of the most common problems with carpet: stains and wear patterns. Their endurance makes them a better alternative choice to carpet in heavy traffic areas like public spaces and guestrooms. Area rugs are also recommended here to enhance the design statement. Aside from the finished look of your hotel, considerations before choosing a flooring product include local building and fire codes and installation. You’ll need an experienced installer who understands the scope and timing of your project and the required materials and preparation, and follows the American National Standards Institute’s (ANSI) installation specifications and the product manufacturer’s guidelines. So, which flooring does your hotel require? This is where PPI can help. Our design team stays current on standards for your brand and can address specific requirements for your property. We first determine what is allowed, then focus on creating a market-driven design with consideration given to the overall color scheme and materials budget. Then, after all submittals are approved, we put our purchasing expertise to work for your project. From single replacement items to full property improvement plan renovations or new property construction, PPI has the most reliable source for hospitality FF&E since 1992. Key players in the business of expanding, improving and maintaining hospitality industry properties – franchise owners and managers, brand executives, furniture and equipment manufacturers, and financing sources – know the importance of choosing FF&E purchasing and design professionals with both deep, relevant experience and high ethical standards. Choosing FF&E professionals who consistently maintain financial stability and demonstrate good stewardship of the funds entrusted to them is also critical. Since our founding in 1992, PPI is known by its customers for providing top notch design and purchasing services, by its vendors for paying its bill on time, and by D&B for submitting timely, transparent and verifiable financial information. At PPI, we take our credit rating seriously and our good rating supports positive credit decisions from our vendors. In turn, our customers can feel secure paying advance deposits to PPI to assure availability and pricing of goods being ordered. For example, we recently completed a television replacement program for a customer with more than 90 properties. Successful completion of the program meant that, over a six-month period, televisions had to arrive at the properties on the exact dates installation crews were ready to receive and install them. PPI and the customer planned the program with that end in mind, and collaborated with the manufacturer to make it happen. Our superior credit history and D&B rating made it possible to increase our secured and open credit facilities to handle the influx. Our customer made it work by paying the television invoices earlier than normal terms. Thanks to our customer, manufacturer and lender, PPI was able to execute the plan and complete the program without a hitch. We maintain our credit by meeting creditor or lender payment terms, managing returns efficiently, collecting customer accounts in a timely manner, and following other credit maintenance best practices. Doing so consistently for 23 years has earned us the best overall credit rating of FF&E companies that report to D&B. Working hard to create and maintain good credit demonstrates stability and reliability. This is a key component of our mission statement and our customers are comforted knowing that their orders, commitments and payments are safe and sound with PPI. To receive notice of FF&E special offers, insights and alerts on matters important to your business, please go to the top of the page and sign up by entering your email address in the space provided. Advances in technology have changed the way we all do business. Email has revolutionized communications. You can find almost anything you want to know by searching through Google or other online databases. The “cloud” environment provides small businesses with affordable access to sophisticated hardware and software solutions. Some companies may soon use drones to deliver packages. But there are some things that technology can’t displace – and shouldn’t. Like the personal interaction between property owners or managers, purchasing agents, designers and manufacturers. Our years of purchasing and design experience with the products we sell put PPI in a unique position to recognize FF&E related problems in daily hotel operations and develop practical solutions. For example, one customer noted an increase in workers’ compensation claims related to housekeepers who moved heavy guestroom wood frame sofa sleepers to vacuum and clean in their properties. After a conversation with our customer’s management team about employee safety, PPI approached a manufacturer with an idea to develop a metal day bed rugged enough to withstand years of high volume use by hotel guests. This innovative product came in at less than half the weight of the earlier models. Our customer’s employee safety records improved and, as an added benefit, their guests enjoyed extra storage space underneath the day bed – an important feature in an extended stay property. Another example of PPI problem solving involves our recommended solution for recurring repairs and repainting to remove chair marks on guestroom walls. PPI revised our customer’s guestroom FF&E package and sourced a “wall saver” chair to address the complaint and reduce maintenance costs. Bed bugs can wreak havoc on hotel bedding and wooden frames. Protective covers for mattresses and box springs can provide a partial solution to this pervasive problem. However, one customer experienced a recurring need for replacements of box springs and wooden frames after bed bug infestations as a result of the protective covers being compromised by friction between the box spring and frame. PPI collaborated with the customer’s purchasing director and a leading manufacturer to develop a metal bed frame that doesn’t require a box spring. The customer’s capital replacement and guestroom sanitizing costs were reduced. Affected guestrooms were back in service sooner at no sacrifice in comfort for their guests. PPI’s goal is to guide our customers throughout the FF&E design and purchasing process, using our years of relevant experience to solve problems in ways that save time, money and hassle. It’s something we’ve been doing since we started our business in 1992 and it’s a way of doing business we have no plans to change. Freight charges for FF&E shipments can be significant whether the order is substantial in terms of weight, size and quantity, or a smaller order for replacement items. And because so many factors figure into pricing, estimating freight charges in advance can be difficult, the element in your cost you might call The Great Unknown. Estimating shipping costs is further complicated by several factors that have driven current costs higher. Higher fuel prices have increased the cost per mile. That also makes for greater differences in cost based on the distance a shipment travels. Costs also vary by region; shipments to the Northeast U.S., for example, carry higher rates than those to the Southeast. Other factors currently driving prices upward include new and more restrictive driver and equipment regulations, higher equipment costs, and an improving economy that is making the market for qualified drivers more competitive. While freight charges are difficult to estimate, there are some things that can be done to minimize shipping costs. A full truckload of FF&E ships more efficiently than a less-than-truckload (LTL), so if you can receive large shipments from a vendor in one delivery or consolidate orders, you will save on freight charges. By federal law, carriers are only required to move goods to the back of the truck. Assistance with unloading, including lift gate and inside delivery must be arranged in advance and at additional cost. Your PPI representative can help you with the arrangements when you place your order. The most important thing hoteliers can do to save time, money and hassle related to shipping is to implement a strict regimen for receiving shipments that includes a thorough inspection. 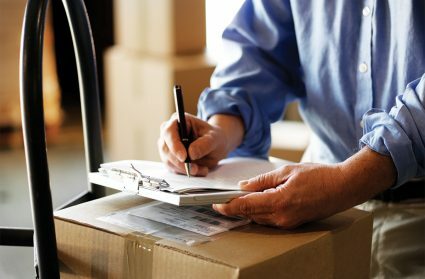 The bill of lading that you sign upon delivery is a legal document and your signature indicates you have received the shipment of goods as described on the bill and in good order. When you receive a call to set up a delivery, get the freight line name and the phone number to call to track the delivery. Count the items to be sure everything on the bill of lading is in the shipment. Note any discrepancies in writing on the delivery receipt and have the driver sign it as well. Be sure that you have the phone number for the freight terminal. Retain a copy for your files. If you can’t inspect each item immediately, write “except for concealed damage” on the delivery receipt. Do not delay your inspection since, by law, all concealed damage must be reported within 15 days of receipt. For best results, PPI advises you to complete your inspection and call the freight terminal to report concealed damages within 24 hours. File your damage claim with the carrier immediately. To support your claim keep all cartons and other packing materials for inspection by the freight company. PPI recommends that you take digital photographs of the damage that can be e-mailed support your claim. Follow these steps and you’re bound to have fewer problems with shipping – and fewer encounters with The Great Unknown. Weather across the country has been increasingly unpredictable, but in the hospitality industry there is one constant: summer heat, humidity and electrical storms can wreak havoc on PTACs and ice machines. The season change often means disruptive equipment failures just as occupancy rates begin to pick up. Proactive hotel owners and operators can often avoid failures and extend the service lives of their PTAC units and ice machines with a regular program of preventive maintenance. The PPI team recommends the following steps to avoid those summertime blues. Clean the inlet air filters monthly. Turn the unit off before removing a filter, then use a vacuum or running water to clean it. At least annually, use a mild biodegradable detergent to clean the unit (note that harsh or caustic cleaning agents may damage the aluminum fin or coil material). Protect the unit’s control board and other electrical components from moisture, and be careful not to bend the aluminum fin stock. If you’re concerned about cleaning in-house, consider engaging a specialized service to assure proper cleaning. PPI can recommend a cleaning service in your area. Have a backup plan – PPI recommends keeping a sufficient attic stock, based on the expected occupancy at your property, of critical equipment for emergency replacement. Inspect your units regularly so you can anticipate the need for additional units. Know your specifications – Providing exact specification information when ordering new or replacement units – voltage, amperage, BTUs, etc. – will speed delivery at peak times. For example, 9,000 to 12,000 BTUs with 208-230 volt/20 amp are used by most properties. If your property is equipped with units that are 265-277 volt/20 amp, expect longer lead times. As a service to our customers, PPI maintains historical information on all units we ship. Other factors – Pricing and energy efficiency are clearly important considerations as you decide on appropriate PTAC units for your property. Other factors affecting your decision include the size of guestrooms to be cooled, the geographical location of your property and the orientation of your windows and corridors. New PTAC coolant regulations – Changes in federal PTAC coolant regulations have eliminated use of the ozone-depleting R22 refrigerant (AC Freon) in air conditioners and heat pumps. PPI’s OEM suppliers have made the switch to environmentally friendly R410A refrigerant for new PTAC units. Remember your ice machines – Before ordering or replacing ice machines, check local ordinances to see if your property is required to use air or water cooled machines. Cleaning and sanitizing your machines on a regular schedule will improve operating efficiency. PPI recommends performing this critical task at least every six months, or more frequently where water quality is not good. Planning for the summertime blues can help you minimize blocked rooms due to PTAC-related failures. And in the event you do experience heat, humidity or electrical storm related damage this year, know that PPI is prepared to act on replacement orders to help minimize the impact on your operations. Over the years PPI has built strong relationships with the leading manufacturers of hospitality PTAC systems and ice machines. You benefit from our experience by gaining access to technical product information, priority status on order processing and real-time knowledge of seasonal pricing specials. 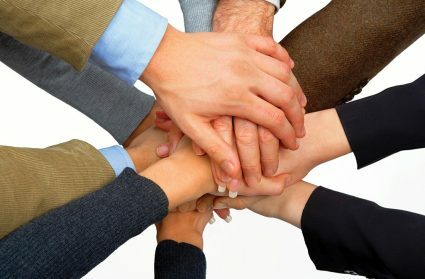 It’s one more way we live up to our promise: at PPI, we take your business personally. As PPI moves into our 23rd year, our emphasis on taking your business personally is more relevant than ever. Last week’s news was filled with reports about the vulnerability of websites we all visit regularly. Every business was forced to consider whether the security of their systems has been systematically compromised. Be assured your information with PPI is safe. Our web site was not affected by this vulnerability. PPI utilizes current, licensed enterprise resource planning (ERP) software to manage all facets of our business process: management operations, including customer sales, vendor purchasing and our back office accounting functions. We have strict internal guidelines and processes for protecting customer and vendor account information, including banking and credit card PCI compliance. All emails are screened before delivery to our system and suspect items are quarantined. Confidential credit and payment information is kept under lock and key. When our customers select PPI to handle their hospitality design and purchasing, they can be confident that a secure record of all goods shipped for installation at their property is being maintained by PPI. This serves as a useful reference as future improvements are made to the property, whether a partial or full renovation. PPI professionals make thoughtful recommendations for each line item for each project. It is a person-to-person, subjective process that does not lend itself to an online ordering system. Our use of back-of-the-house ERP technology for your orders is one more example of how we “take your business personally,” protecting your confidential information from internet vulnerability. In addition to years of shrinking tax collections during the recession, state and local governments are facing reduced income from federal revenue sharing programs and increased costs for healthcare and infrastructure investment. Exacerbating the issue, political leaders at every level are reticent to endorse tax hikes. The result: governments are scrambling to find new funding sources. Where can they turn? One direction is to aggressively enforce current tax laws, particularly sales and use taxes – and the hospitality industry is a favorite target. Tax compliance can be complex, but the rule of thumb is that if FF&E items are purchased for installation at your property, you are required to pay either a “sales” tax on your vendor invoice or a “use” tax on the purchase. The rule of thumb applies whether the vendor is in or out of state, a point reinforced December 2, when the U.S. Supreme Court declined to hear an appeal from Amazon to overturn a New York State law allowing the collection of taxes on internet sales. For a significant FF&E project – replacement, renovation or new construction – sales or use taxes can be substantial. When your property is selected for a sales tax audit and the taxman shows up at your front desk, the impact on your business of unpaid sales and use taxes, penalties and interest can be devastating. As an integral part of our commitment to supporting our clients throughout the FF&E acquisition process, PPI stays abreast of current tax rates, rules and exemptions for the tax jurisdictions where our FF&E products are shipped. As an accommodation to our customers, we are registered to collect taxes in the principal states where they have properties, and we collect and remit taxes on your FF&E purchases, including freight and labor if applicable. We are proud to have a spotless track record with audits by the states where we are registered. At first blush, pricing from suppliers who do not include these taxes can look more attractive to a property owner. But that kind of appeal vanishes quickly when the tax auditor shows up and that supplier is nowhere to be found. Since 1992, our goal has been to guide our clients throughout the entire FF&E purchase, including doing our part to help you comply with sales tax laws. Helping customers survive a tax audit is one more way we work to contribute to their long-term success. This makes all the sense in the world for us because we’re in it for the long haul as well.